A team of researchers headed by Shahid Hamid (FIU), using the Florida Public Hurricane Loss Model, estimates that Hurricane Irma caused $19.4 billion in wind-related losses to Florida residents alone. The data doesn't cover flood losses. Investigations to predict changes in sea levels and their impacts on coastal systems are a step closer, as a result of international collaboration between the University of Sydney and researchers from Japan, Spain, and the United States, including Andrea Dutton (UF). 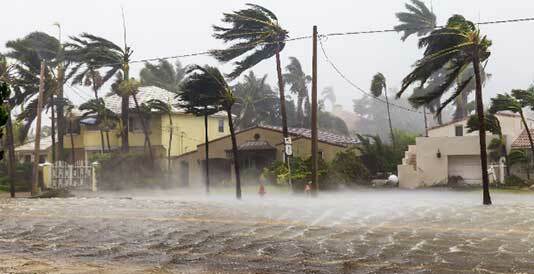 The East Coast of the United States is threatened by more frequent flooding in the future. This is shown by a recent study by the Universities of Bonn, South Florida, and Rhode Island. According to this, the states of Virginia, North Carolina, and South Carolina are most at risk. Their coastal regions are being immersed by up to three millimeters per year - among other things, due to human intervention. Roberto Ferrise and Davide Cammarano are guest-editors of a special issue for the MDPI open access journal Agronomy, titled "Climate Change in Agriculture: Impacts and Adaptation". This Special Issue welcomes articles, from any agricultural area of the world, and for any cropping system, dealing with impacts and adaptations of climate change. The U.S. Department of State seeks nominations for U.S. scientists with requisite expertise to serve as Lead Authors or Review Editors on the Working Group I, II, and III contributions to the Intergovernmental Panel on Climate Change (IPCC) AR6. The USGCRP nominations system for this process will be disabled on Tuesday, October 24, 2017. Shimon Wdowinski (FIU) and colleagues have been awarded a grant from NASA for a project titled "Cascading hazards: Understanding triggering relations between wet tropical cyclones, landslides, and earthquake." Ahmad, S., Abbas, G., Fatima, Z., ... Porter, C. H., & Hoogenboom, G. (2017). Quantification of the impacts of climate warming and crop management on canola phenology in Punjab, Pakistan. J Agro Crop Sci, 203(5), 442-452. Arienzo, M. M., McConnell, J. R., Murphy, L. N., Chellman, N., Das, S., Kipfstuhl, S., et al. (2017). Holocene black carbon in Antarctica paralleled Southern Hemisphere climate. J. Geophys. Res. Atmos., 122(13), 6713-6728. Bentamy, A., Piollé, J. F., Grouazel, A., ... Bourassa, M., Smith, S. R., et al. (2017). Review and assessment of latent and sensible heat flux accuracy over the global oceans. Remote Sensing of Environment, 201, 196-218. Cane, M. A., Clement, A. C., Murphy, L. N., & Bellomo, K. (2017). Low-Pass Filtering, Heat Flux, and Atlantic Multidecadal Variability. J. Climate, 30(18), 7529-7553. Cavaleri, M. A., Coble, A. P., Ryan, M. G., Bauerle, W. L., Loescher, H. W., & Oberbauer, S. F. (2017). Tropical rainforest carbon sink declines during El Nino as a result of reduced photosynthesis and increased respiration rates. New Phytol, 216(1), 136-149. Díaz, P., Morley, K. M., & Yeh, D. H. (2017). Resilient urban water supply: preparing for the slow-moving consequences of climate change. Water Pract Technol, 12(1), 123-138. Fu, X., & Song, J. (2017). Assessing the Economic Costs of Sea Level Rise and Benefits of Coastal Protection: A Spatiotemporal Approach. Sustainability, 9(8), 1495. Greenspan, S. E., Bower, D. S., Roznik, E. A., ... & Scheffers, B. R. (2017). Infection increases vulnerability to climate change via effects on host thermal tolerance. Sci Rep, 7(1). Infanti, J. M., & Kirtman, B. P. (2017). CGCM and AGCM seasonal climate predictions: A study in CCSM4. J. Geophys. Res. Atmos., 122(14), 7416-7432. Karegar, M. A., Dixon, T. H., Malservisi, R., Kusche, J., & Engelhart, S. E. (2017). Nuisance Flooding and Relative Sea-Level Rise: the Importance of Present-Day Land Motion. Sci Rep, 7(1). Katabuchi, M., Wright, S. J., Swenson, N. G., Feeley, K. J., Condit, R., Hubbell, S. P., et al. (2017). Contrasting outcomes of species- and community-level analyses of the temporal consistency of functional composition. Ecology, 98(9), 2273-2280. Krishnamurti, T. N., & Kumar, V. (2017). Prediction of a thermodynamic wave train from the monsoon to the Arctic following extreme rainfall events. Clim Dyn, 48(7-8), 2315-2337. Krishnamurti, T. N., Jana, S., Krishnamurti, R., Kumar, V., Deepa, R., Papa, F., Bourassa, M. A., & Ali, M. M. (2017). Monsoonal intraseasonal oscillations in the ocean heat content over the surface layers of the Bay of Bengal. Journal of Marine Systems, 167, 19-32. Mondav, R., McCalley, C. K., Hodgkins, S. B., ... Chanton, J. P., et al. (2017). Microbial network, phylogenetic diversity and community membership in the active layer across a permafrost thaw gradient. Environ Microbiol, 19(8), 3201-3218. Mu, C., Wu, X., Zhao, Q., Smoak, J. M., Yang, Y., Hu, L., et al. (2017). Relict mountain permafrost area (Loess Plateau, China) exhibits high ecosystem respiration rates and accelerating rates in response to warming. Journal of Geophysical Research: Biogeosciences, 122. Nair, P. K. R., Viswanath, S., & Lubina, P. A. (2017). Cinderella agroforestry systems. Agroforest Syst, 91(5), 901-917. Navarro, M. A., Saiz-Lopez, A., Cuevas, C. A., Fernandez, R. P., Atlas, E., Rodriguez-Lloveras, X., et al. (2017). Modeling the inorganic bromine partitioning in the tropical tropopause layer over the eastern and western Pacific Ocean. Atmos. Chem. Phys., 17(16), 9917-9930. Ogilvie, J. E., Griffin, S. R., Gezon, Z. J., Inouye, B. D., Underwood, N., Inouye, D. W., et al. (2017). 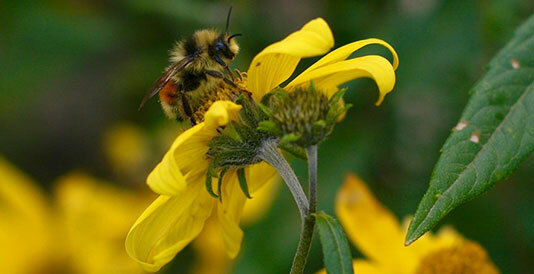 Interannual bumble bee abundance is driven by indirect climate effects on floral resource phenology. Ecology Letters, . Qiu, J., Carpenter, S. R., Booth, E. G., Motew, M., Zipper, S. C., Kucharik, C. J., et al. (2017). Scenarios reveal pathways to sustain future ecosystem services in an agricultural landscape. Ecological Applications, . Rodríguez, A., Rusciano, T., Hamilton, R., Holmes, L., Jordan, D., & Wollenberg Valero, K. C. (2017). Genomic and phenotypic signatures of climate adaptation in an Anolis lizard. Ecol Evol, 7(16), 6390-6403. Sanborn, K. L., Webster, J. M., Yokoyama, Y., Dutton, A., Braga, J. C., Clague, D. A., et al. (2017). 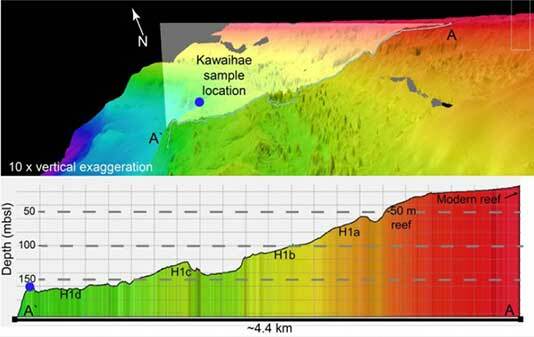 New evidence of Hawaiian coral reef drowning in response to meltwater pulse-1A. Quaternary Science Reviews, 175, 60-72. Thompson, D. M., Conroy, J. L., Collins, A., ... Riedinger-Whitmore, M., ... Bush, M. B., Whitney, H., et al. (2017). Tropical Pacific climate variability over the last 6000 years as recorded in Bainbridge Crater Lake, Galapagos. Paleoceanography, 32(8), 903-922. Valle-Levinson, A., Dutton, A., & Martin, J. B. (2017). Spatial and temporal variability of sea level rise hot spots over the eastern United States. Geophys. Res. Lett., 44(15), 7876-7882.
van Beynen, P., Polk, J. S., Asmerom, Y., & Polyak, V. (2017). Late Pleistocene and mid-Holocene climate change derived from a Florida speleothem. Quaternary International, 449, 75-82. Warren, M. J., Lin, X., Gaby, J. C., Kretz, C. B., Kolton, M., Morton, P. L., et al. (2017). Molybdenum-Based Diazotrophy in a Sphagnum Peatland in Northern Minnesota. Appl. Environ. Microbiol., 83(17), e01174-17. Zhao, C., Liu, B., Piao, S., ... & Asseng, S. (2017). Temperature increase reduces global yields of major crops in four independent estimates. Proc Natl Acad Sci USA, 114(35), 9326-9331.